To be perfectly honest, this is a class I built awhile ago (back in November of 2010), so going from memory here. 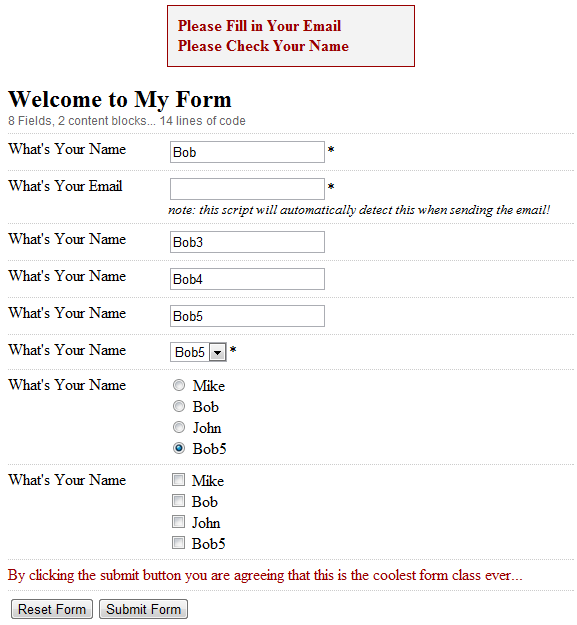 But basically, Form Builder allows you to setup a databased/ emailed form quickly and easily, in just a few lines of code. 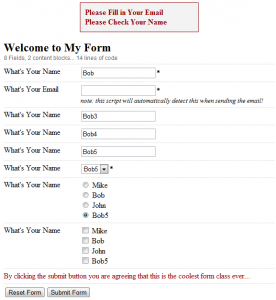 smrtClass was released under the GPL version 2 license.